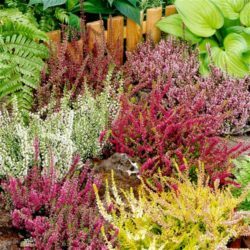 A fine selection of attractive and durable winter heathers, native to the alpine regions of Europe. 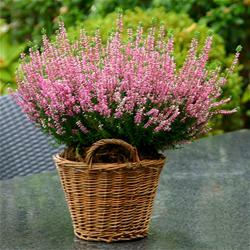 This variety ‘Erica carnea’ will provide you with colour and interest in your garden or on your patio long after other flowers have faded and the garden takes on a somewhat barren look. Not as fussy with soil as their counterparts, they will thrive in any well drained soil.